When cooking with the kids it’s always a good idea to measure the amount of chili in food by the taste of the most sensitive eater. It still doesn’t mean that you have to give up spicy food on your plate. 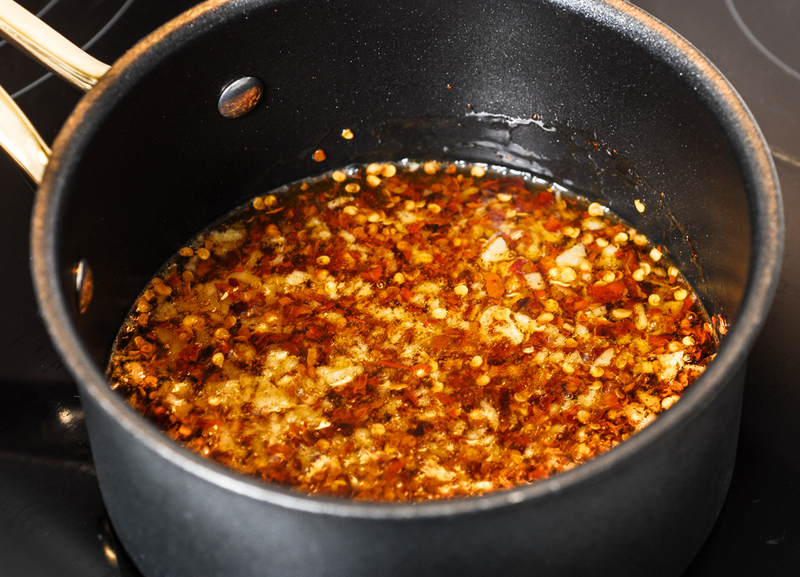 Our Garlic Chili Oil is a perfect combination of hotness and the aroma of toasted garlic to season your Dhal and other exotic dishes. This accompaniment is better to prepare it without the young Sous Chef, just for safety. Taste our seasoning recipe to spice up your dish, and tell us how do you like it. This entry was tagged Apukokin, Apukokki, Children, chili, chili oil, Cook, Cookbook, Cooking, Dhal, Family, Food, Garlic, garlic chili oil, gluten free, hot, keittokirja, Kids, Kitchen, Lentils, oil, olive oil, pepper, Photo, Photography, Recipe, seasoning, Sous-Chef, spicy. Bookmark the permalink.